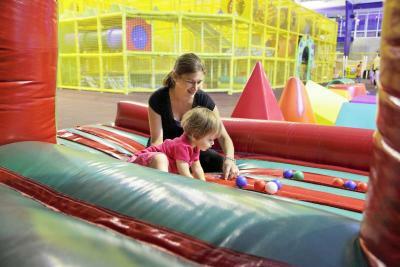 Beds, covered aqua park, kids corner, games - all these are good! 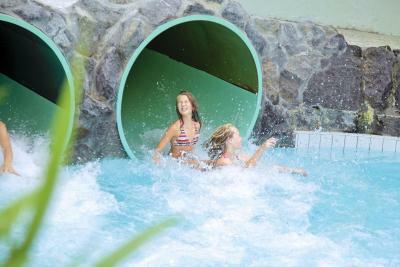 Since the aqua park is covered, swimming is possible even if the weather outside is not great. The water is warm. We liked it very much! 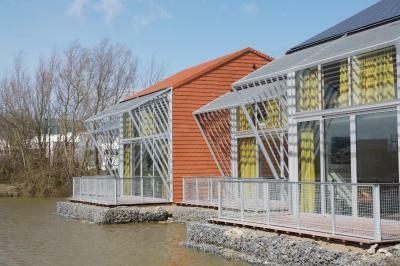 Villa and separation from others gives more comfort that staying in the hotel. The pool, once you're through the maze of tatty, peep-hole changing rooms, it's generally Ok. Close to the beach, nice on a sunny day but wouldn't want to venture into the murky water! 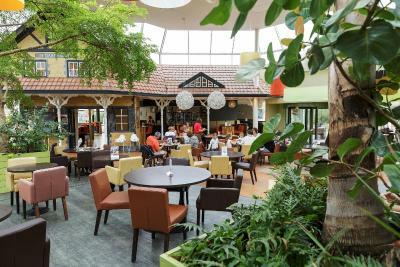 The staff were friendly and helpful at the reception and restaurants. The food was good, in the main area and the pool bar. The pool was probably the best part of the complex. 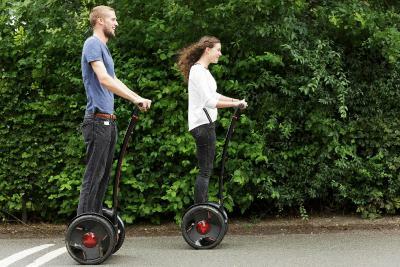 It is great fun for all ages! There is also a good range of activities to enjoy. 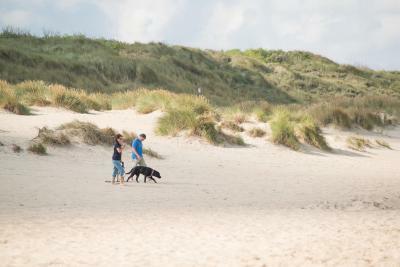 Great swimming pools, comfortable accommodation and a short walk to a lovely beach. 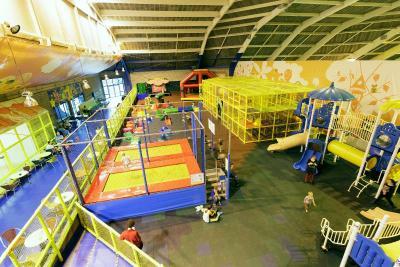 A great place for children with good otdoor and indoor play areas. 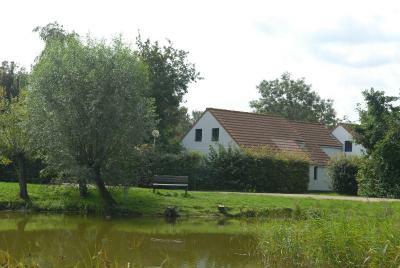 Sunparks is also a very short and easy drive to Bruges. Walking distance from the beach. 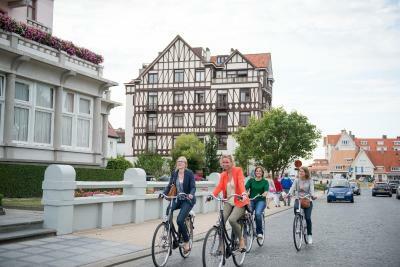 Bicycle hire options - best transportation method around. Proximity to nature. Nice water park. House well served with day-to-day appliances. Plenty of space outside the house. Excellent for kids. The park centre was fantastic. Lots to do. Swimming pool was great. Lots for toddlers. Pizzas were nice. 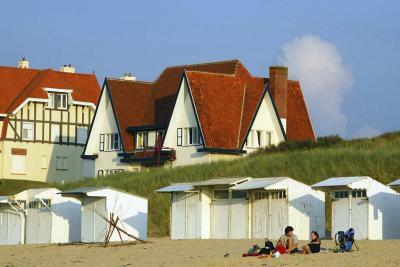 Featuring a covered aquatic park called Aqua fun, the village Sunparks De Haan is set 0.6 mi from the North Sea coast. 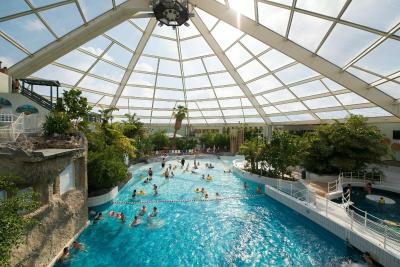 It is immersed in greenery and includes a spa and 2 restaurants. WiFi is available in the park center. 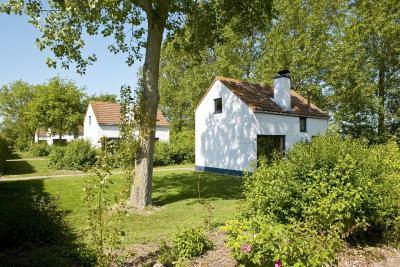 Surrounded by their own private garden, the cottages at the Sunparks De Haan are bright and simply decorated. 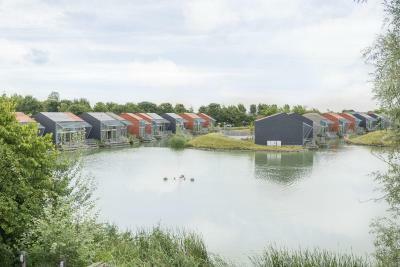 They all come with a fully equipped kitchen, and living room with dining area and fireplace. 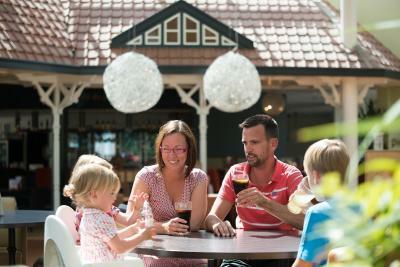 The restaurant offers simple international dishes and Belgian classics. 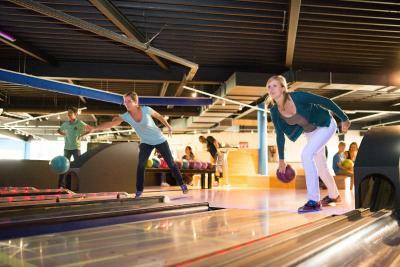 Guests can enjoy a wide selection of activities and facilities without going out of the village, from the tennis courts to the mini golf, including bowling and billiards. The wellness center includes a sauna and Turkish bath. 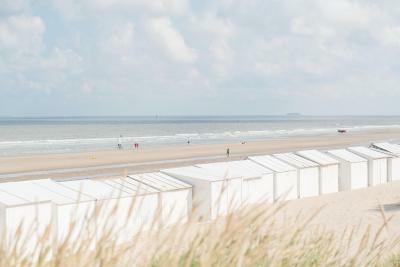 The Sunparks is 11 mi from Bruges and 8.1 mi from Ostend. Free private parking is also available for guests arriving by car. 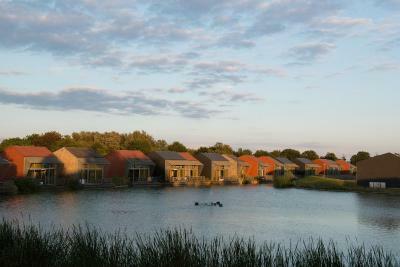 When would you like to stay at Sunparks De Haan? 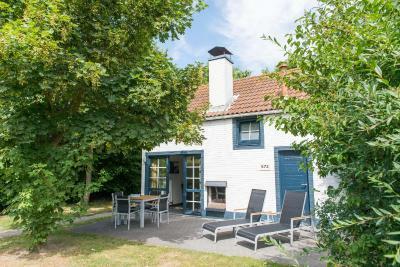 This cottage features a private, covered terrace with garden furniture and a lounge with an open fireplace and a TV. It has 2 bedrooms, a sauna and a bathroom featuring a bathtub. Set over 2 levels, this cottage offers a private terrace with garden furniture and a private bathroom with a bath. It also has 2 bedrooms and a living room with a fireplace and a TV. The 66 square yards holiday house covers 2 floors and includes three bedrooms, one bathroom with bathtub and separate toilet. Private terrace with picnic table and outdoor fireplace. Comfortable seating area, fire place, flat-screen TV. Fully equipped kitchen. The 279 ft² holiday house covers 2 floors and includes four bedrooms, one bathroom with bathtub, shower and separate toilet. Comfortable seating area, fire place and flat-screen TV. Fully equipped kitchen. 4 bedrooms with 2 identical single beds. Private terrace with terrace furniture and outdoor fireplace. This villa has a sofa, electric kettle and dishwasher. This villa features a private entrance, flat-screen TV and microwave. This villa has a kitchen, electric kettle and sofa. 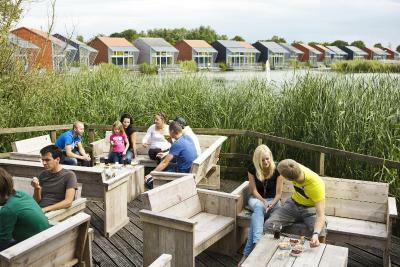 Sunparks De Haan holiday village is located within walking distance of the picturesque De Haan beach. Stay in a comfortable holiday accommodation with a private garden. 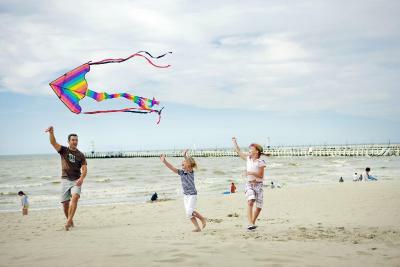 At Sunparks De Haan you will never get bored thanks to the many indoor and outdoor activities. 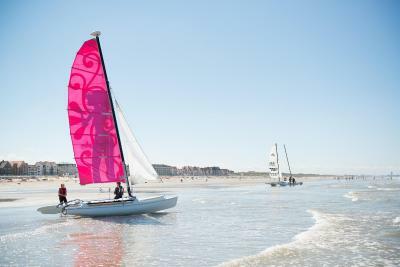 In addition, the Tourist Guide will provide you with plenty of information about possible excursions, including trips to nearby cities Oostende and Bruges. 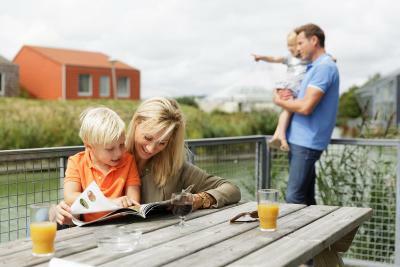 House Rules Sunparks De Haan takes special requests – add in the next step! Sunparks De Haan accepts these cards and reserves the right to temporarily hold an amount prior to arrival. 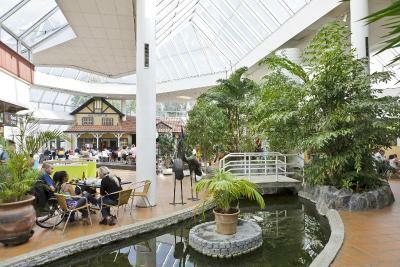 Free WiFi is available in the Park Center. 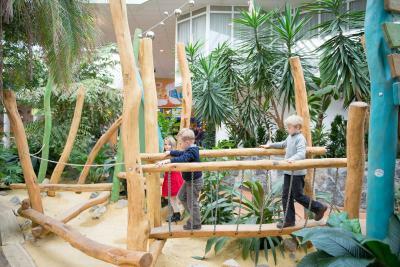 Guests enjoy a free 30 minutes per 24 hours. After that, charges are applicable. Please note that bedlinen and towels are included in the rate. Please note that it is not possible to park cars next to the cottage, villa or apartment. Guests are kindly asked to park in the designated parking area. Please note that beds are made upon arrival. Please inform Sunparks De Haan of your expected arrival time in advance. You can use the Special Requests box when booking, or contact the property directly using the contact details in your confirmation. The unit needed updating, tile grout, new toilet. The prices at market there where double from across the street. The main complaint was it was too long of a walk to the car park. The water park wad nice. It is very dark inside villa (lamps are tiny and not giving enough light), which in dark November is kind of depressing. I would expect that in Exclusive villa (like in Center parks), for which you pay additionally, you will get additional comfort in general and of not taking care of linen for example, etc. I rarely write reviews, certainly not before leaving but this place is worth warning its future clientele!! 'Superior room' far from superior. As far as I'm aware, they were recently renovated - already very tired, curtains hanging off tracks, tatty carpets etc... The cottage itself looked clean on first inspection but then you start delving a little deeper and the cracks start to appear. Discovering a used condom in the room sauna was the final straw (picture attached). This was reported to the front desk but there wasn't much of an apology. No fire alarm in cottage - just the mounting bracket on the ceiling. A self-catering Kitchen but no oven, I've never known anything so ridiculous - a kitchen, with no oven. 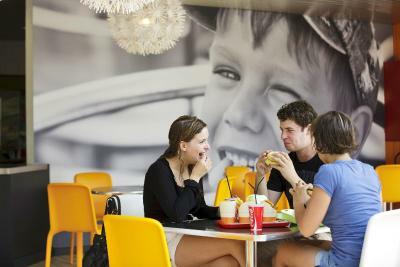 Don't plan to eat at Sunparks facilities either - there's very little on offer and very overpriced. We were given 2 towels for the 3 of us, at first, we were told we'd have to pay for additional. 1 toilet roll for the whole week. The spa area is dilapidated, you pay €14 for 4 hours. Nobody on the desk for refreshments, though advertised. Generally, looks grubby. All in all, a big let-down. Would we stay again, no. Would we recommend, no. Our advice, stay elsewhere and bring the kids over to use the pool for the day. For the price you end up paying here, you could be comfortable in a nice 4* hotel in Bruges. The accommodation was old, tired and dusty. The room had a smell of smoke. The property really needs to be renovated. Bath looked grubby and scratched. Leaking tap. The accommodation was what let this place down. The overall cleanliness of our villa was poor was stains on the sheets and cobwebs around tables along with dust throughout. The dim lighting was only improved by lighting the fireplace. Mirrors are needed in the bedrooms, as one mirror in the bathroom for four people isn’t enough. The villa has the potential to be lovely but needs cleaning properly and a bit of a make over! Some areas in the complex are worn and tired as well, such as the mini golf course. Unfortunately, the place did not match my expectations. The rooms are not clean, it is in very old condition with a smell of mold. The pools have 2 nice but unsatisfactory slides. The pool is too hot because it is closed in the greenhouse. The location is good, the beach is nice. the food is terrible bad. My main concern was about the food. It could have been better. 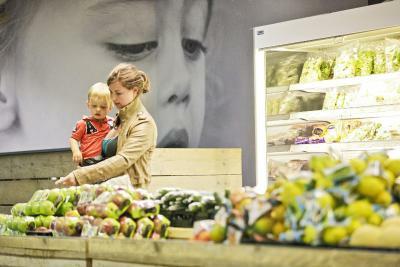 On the second day we bought some products in the local supermarket and prepared it. Poor quality-price ratio. Overall the bungalows are run down, bathroom and kitchen very basic and would need an update. the location is great. Family friendly.